East Asia already has in surplus. The first thing to realize about the 10-nation ASEAN community is how big it is: a tad smaller than the U.S. in land area, but nearly twice the population at 625 million. It’s GDP of $2.5 trillion is about the same as the combined GDP of two of China’s best provinces, Guangdong and Jiangsu, but larger than the GDPs of France or Korea, and 25 percent larger than that of India. 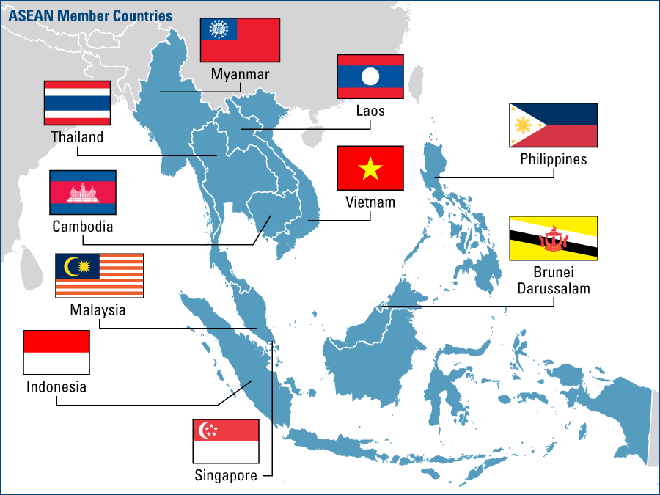 Since 2000, the ASEAN economies have collectively grown faster than any other Asian economy except China. During those sixteen years, GDP has quadrupled, per capita income tripled, and foreign direct investment (FID) into ASEAN countries quintupled. According to HSBC, ASEAN economies attracted a combined $136 billion in foreign direct investment last year, topping China’s $128 billion. And, oh by the way, poverty has been cut in half. Yet, there’s so much more to be done, and robots are the tools of preference at helping the ASEAN economies get to a future of prosperity. East Asia, nearby and willing, is the ideal partner. Can robotics become a key contributor in shift from simply “adding value” to “creating value”? Can Thailand become kingmaker of robot-driven automation along the Mekong River and beyond?